We had to ride on a bad road this morning – narrow, two-lanes, heavy traffic including trucks, no shoulder and a metre-deep culvert. Only 8 kms but too long. We had a longer similar stretch into Krakow but that stretch had a ridable shoulder. These have been exceptions to quiet roads and tracks. 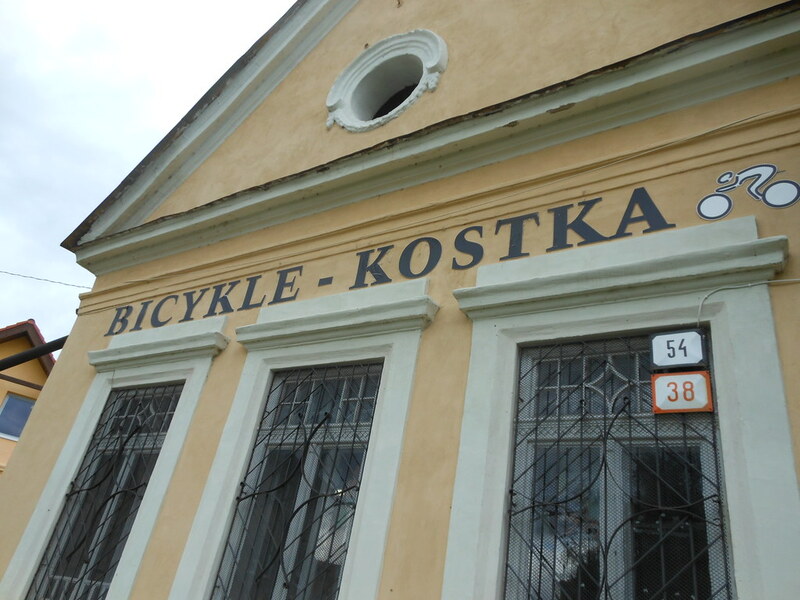 We met a friendly and helpful bike shop proprietor, Martin Kostka of Bicykle Kostka, Stefanikova 38, Spisska Bela 059 01 – all a passing cyclist might need. This afternoon we enjoyed 10 kms of dedicated bike track with smooth, hotmix pavement and no cracks – please take note SA Department of Transport. Prague has few cyclists, few facilities and medieval pave. Apparently a recent pro-cycling campaign has stalled following the death of its director (cycling fatality). We found Prague quite good for cycling but had to take care with all the tram tracks. Krakow has lots of excellent veloways, dedicated lanes and contra-flow lanes. Quite a few cyclists too. This entry was posted on 17 July 2012 at 4:54 pm and is filed under Slovakia. You can follow any responses to this entry through the RSS 2.0 feed. You can leave a response, or trackback from your own site. Is this okay? I also wanted to blog about Martin’s excellent we shop.